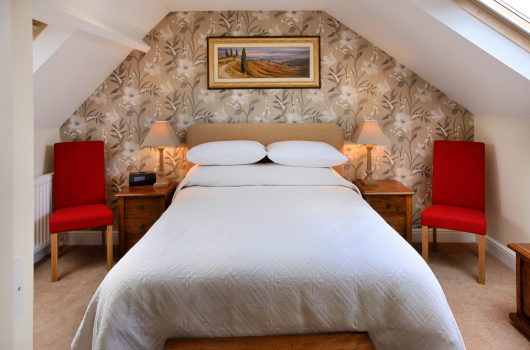 Farriers View was a small, stone-built cottage that has been enlarged and completely renovated to the highest standard to provide a luxurious and spacious four-bedroom, self-catering holiday cottage. Looking out over the central village field to the pub on the other side, the holiday cottage is a five-minute walk from the facilities at Village Farm, which guests are welcome to use, but it also has its own luxurious hot tub. 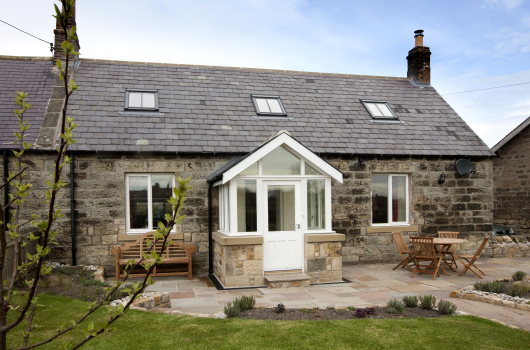 It's an ideal house for an extended family or a small group wishing to enjoy a holiday in Northumberland, close to Northumberland National Park. Large open-plan sitting / kitchen / dining area provided with every comfort and convenience, including satellite wide-screen television and Wi-Fi. A wood-burning stove forms a central feature in this cosy room. 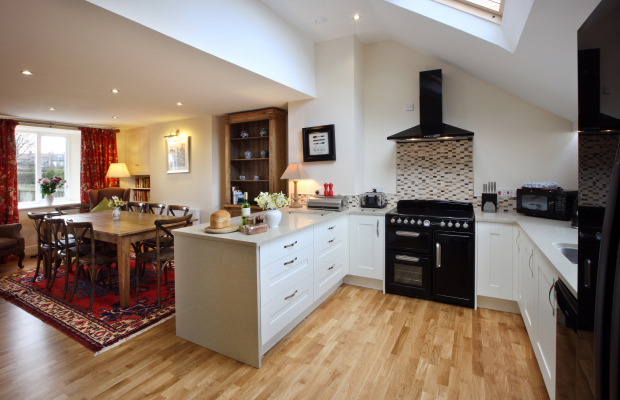 The kitchen is extremely well equipped with a large electric range cooker and everything you might need. 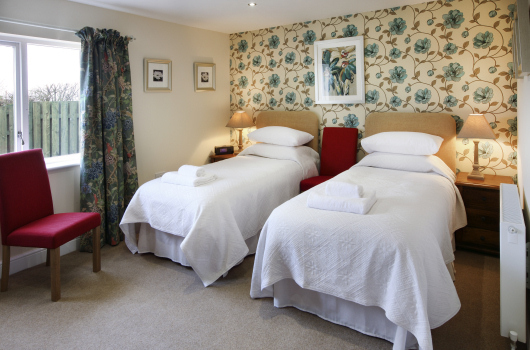 One spacious twin bedroom with a large en-suite bathroom containing a separate wet-room-style shower (suitable for disabled visitors). 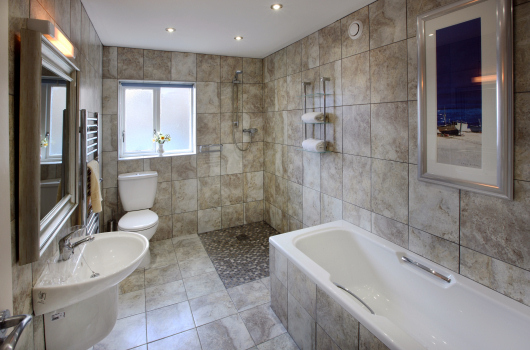 One double bedroom with an en-suite shower room. 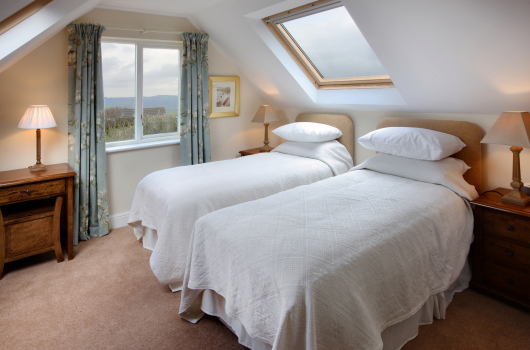 Two twins bedrooms (which can be made up as doubles on request), each with an en-suite shower room. There are secure and secluded private gardens at front and rear, with terraces that are ideal for barbecues. 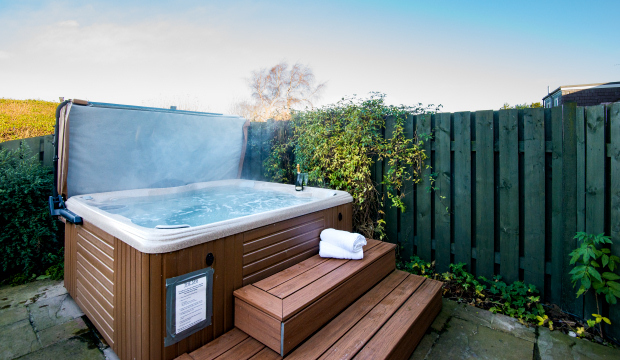 A luxurious new hot tub was added in late 2016. 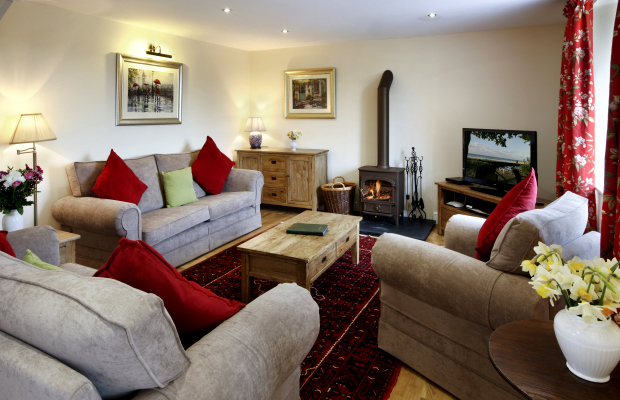 Farrier’s View is a non-smoking, pet-free cottage.